Established on February 18, 1850, the County of Los Angeles was among the original counties in California. Until now, it is included in the list of the largest counties in the U.S., covering a vast area of 4,084 square miles along the Pacific coastline. In addition, Los Angeles is a county in the U.S. state of California. As of the 2010 census, the county had a population of 9,818,605, making it the most populous county in the United States.With its established economy and a variety of leisure spots, this county has been a common destination for those seeking for business opportunities, jobs and relaxation. Our Los Angeles lawyers practice group always endeavors to give honest and pragmatic counseling to our clients before litigation occurs, once a lawsuit is filed, throughout the course of litigation, and until such civil litigation is disposed by judgment, and settlement or otherwise. 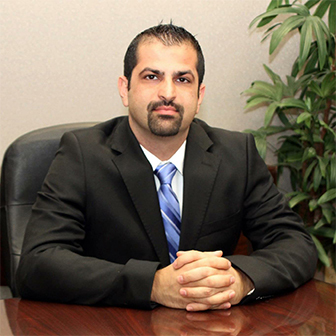 At Rabban law Office in the Los Angeles our lawyers focus our practice exclusively on criminal defense. Our Los Angeles lawyers have a long history of successful cases and always seek the best interests of our clients. Our Los Angeles Lawyers can help determining your rights to compensation if you or your loved ones are the victim of a car accident.Our Lawyers will also work with the insurance companies,leading doctors and medical professionals to make certain that you are in good hands. We are Los Angeles Personal Injury Lawyer.